Ever wonder how the Lillian got it's name? Well, I have. And I may have figured where the name comes from. We have learned the little string on the tip of our rods that we attach the fishing line to is called a Lillian. リリアン. Or sometimes リリアン糸, ririan ito, Translated as Lillian thread or Lillian yarn. Here is an image illustrating the snake mouth ヘビ口 and Lillian リリアン. Maybe technically different but often used interchangeably. The knitting spool seems to have been around since medieval times. And is known by many different names in America and Europe. Names like: knitting doll, Knitting Dolly, Knitting Nancy, peg knitter, Bizzy Lizzy, tom-boy knitter and other names. The process is often called French Knitting. This website explains it fairly well. As you can see an i-cord is a knitted tube that also has some stretch to it. I-cords were used as handles, and one website stated horse reins were made using a similar process. With names in the west such as Doll, Dolly, and Nancy. It might not be surprising that they might also be called Lilly. And that is what happened in Japan. The next couple of websites tell the story how in 1923 a craftsman in Kyoto copied a design used in America, and he sold the knitting spools using a trade mark of a Lilly Flower. I couldn’t find a copy of the original trade mark, but I found one used by the Lilly Capital Investment. If you noticed what the top of spool looked like in the Knitting Nancy video, I think you could understand why the company in 1923 chose to use a Lilly flower as the trademark for his product. The top of the spool would somewhat resemble a sketch of a Lilly. In Japanese the name for a Lilly flower and be written two ways. The i-cords made using the ユリの花の商標を [ Lilly Flower Trademark] knitting tool (編道具) Became know as Lilly Yarns.「リリー ・ヤーン」`Rirī yān’. . Eventually the two words were combined and shortened to Lillian,「リリアン」. Changes as “Ririyan” → “Lillian” It came to be called so by everyone. “Lily” (`Rirī’ ) is Lily flowers (yori no hana ) in Japanese. “Yarn” (`Yān’) means the sewing thread. I think you can see if an i-cord was made with small silk thread, rather than with large yarn, the i-cord could be very small in diameter. And a little stretchy too. Perfect for attachng onto the rod tip and for tying you fishing line onto. That’s the story. Or my theory. If the knitting spool maker in 1923 had chosen a trademark different from the Lilly flower, we might today call the little cord on the tip of our rods by a different name. Not quite. In Japan, the hollow cord is known as lilly yarn, not lillian. Lilly yarn is written as リリアン . Back in 2009 I asked my wife what リリアン meant. She said it was lilly yarn, and that all young Japanese girls had one of the knitting spools and called the resulting yarn lilly yarn because of the knitting spool was in the shape of a lilly. I didn’t know about the trademark and she didn’t mention it. “Lillian” is how Google translation represents リリアン in English. 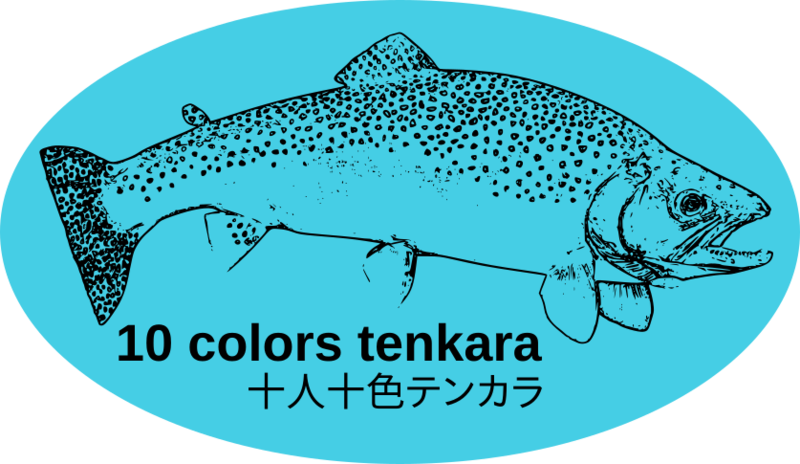 Back in the early days of tenkara in the US, there was virtually nothing written in English, so any English speaker who wanted to learn anything about tenkara had to rely on Google translation. I don’t remember what Tenkara USA initially called the cord at the end of the rod tip (and it might have just been “little cord to which you tie your line”), but from the beginning I called it Lillian instead of the more accurate “lilly yarn” because I knew people were going to see “Lillian” in all the Google translations and that most would not equate “lillian” and “lilly yarn.” So, to avoid confusion, and to avoid having to explain all the above every time I wrote “lilly yarn” I just went along with Lillian. Everything I have written about tenkara since 2009 referred to it as lillian. I suspect that before long there will be a movement to change the name from the already well known and well accepted lillian back to lilly yarn so we do not insult anyone by using the wrong word for something that has had an accepted Japanese name for almost 100 years (twice as long as “tenkara” has been in common use). I can see it now! Fresh fighting words on some of the forums! Not quite. In Japan, the hollow cord is known as lilly yarn, not lillian. Lilly yarn is written as リリアン . Back in 2009 I asked my wife what リリアン meant. She said it was lilly yarn, and that all young Japanese girls had one of the knitting spools and called the resulting yarn lilly yarn because of the knitting spool was in the shape of a lilly. Fortunately I am not the type who believes “the science is settled” or in this case “the etymology is settled”. Alternate theories should always be taken into account. I believe Mrs. Stewart is correct that the proper name for the knitted cord is Lilly Yarn 「リリー・ヤーン」. But that name also seems to be derived from the Lilly flower. " Back in 2009 I asked my wife what リリアン meant. She said it was lilly yarn, …and called the resulting yarn lilly yarn because of the knitting spool was in the shape of a lilly." Also seems to confirm the name derives from the lilly flower. At first I was not sure there will be any need to change the name. But on further expiration, it appears that the name lilian リリアン really refers to the tool, the knitting spool itself. And is not the proper name for the knitted string made using the tool. Which is lilly yarn 「リリー・ヤーン」 or string, cord, what ever alias name. リリヤン糸. 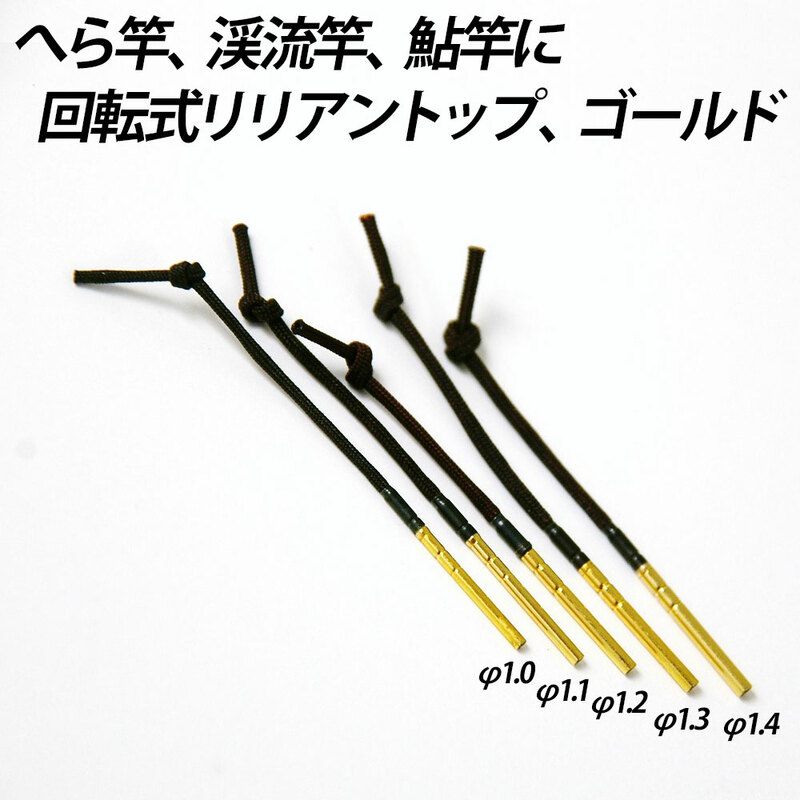 However, the string attached to our rod tips, ロッド穂先 (roddo hosaki). Mostly have the name リリアン, in the product names. Such as リリアントップ (Ririantoppu) ririan top, トップ リリアン (toppu ririan), リリアン糸 (Ririan-ito) ririan string, and 回転式リリアントップ , (Kaiten-shiki ririantoppu) rotary lillian top. And even リリアンタイプ (ririantaipu ) lillian type. リリアン is the name they put on the packages, for the replacement parts. Often omitting to add 糸 to the name. the whole seller in 1923 sold the knitting spool / knitting ring tool, under the trade name of リリヤン (Ririyan). 「リリヤーン」の名で。Under the name of “Ririyan”. If you do an internet search for ユリ (yuri) you find Lilly flowers. リリー (Rirī ). Is another or alias name for ユリ (yuri). The Lilly flower. ユリの花 (Yuri no hana). I suspect there is a bit of word play involved in the name lillian too. Perhaps similar to the word play with the word テンカラ, tenkara, as 十カラー ( Jū karā ) 10 colors. vs the kanji version of 十色 (Toiro) or to keep the phonics from changing 十・色 (Jū-iro) Ten-color. 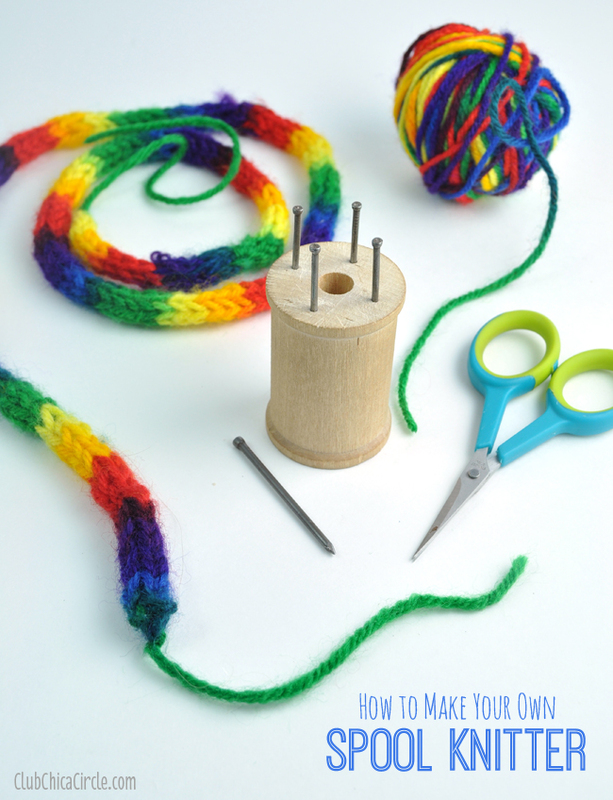 It’s easy to see how the name knitting spool came about by people making their own knitting ring from a small wooden thread spool. Yeah, I refuse to join facebook for that reason. (among others) But I do look at some of them once in a while. Most of the - the, what is and what is not . You’re doing it wrong- threads are tiresome. I would never say to someone what you’re doing is wrong. It’s not authentic. I might only say - Hey, I do it this way, you might want to try it. You might find it works better. It’s all about point of view of definitions. Hence the reason I created this forum. We may not agree with what everyone says, but everyone has their Color (yes I did that internationally) of tenkara. I think it is amazing the amount of information and good conversation that can be read on this forum. I don’t tweet or do Facebook but to be honest for what I want I don’t need to because it is all here. I only wish I were a bit younger and had come across Tenkara in all its forms years ago. So much to learn. Thanks to everyone for your input. You can run the below website through a digital translation, but google translate strips out the pictures. Maybe it clarifies why today we have a string on the end of tenkara rods called a リリアン, ririan, Lilian, Lillian. リリヤン って何 , what is a ririyan? ユリ印 リリアン編みセット, Yuri mark ririan knitting set. aka Lilly Flower trademark knitting set. Anyway, if you’re paying attention to a tenkara quiz challenge going on in the English language tenkara world. You’ll know why this topic recently caught my attention again. David, you are amazing! The information you come up with is always fascinating! Thanks Tom. I probably qualify for membership in KOOKS, keepers of odd knowledge society. Anyway, an interesting bit of information confirming the name ririyan [リリヤン] originated from the yuri trademark [ユリ印, Lilly Mark] of a thread whole-seller during the Taishō era ( July 30, 1912 ~ Dec 25, 1826). of rirīyān (yarn) lilly (flower) ito trademark name. リリヤン (ririyan), リリーヤーン (rirīyān) , which I believe both mean Lilly yarn. Or maybe リリアン only refers to a braided string, that has some similarity to how riri yarns were made. リリーの花 ((rirī no hana) ia a Lilly flower, an imported English word, similar to ロッド (roddo, rod) vs sao 竿、サオ, the indigenous word for fishing pole. And ユリ (yuri) or ユリの花 (yuri no hana) being native Japanese word for Lilly flower. Anyway, that’s my theory of the origins of the name. Maybe correct or completely wrong. Enough beating of the dead horse. At least for the moment. It’s a pursuit that’s a bit like trying to figure out why locally, where I live, morel mushrooms are called, Molly Moochers. Who knows, perhaps in old time used to be, a girl named Molly became notorious for mooching the mushrooms. Without diverging too much, I’ve heard that before and I’ve never lived in that part of the country before. Ah, one more website, sewingschool, with an opinion, or story told, about the etymology of the name. This lillian/ lilian (リリアン) , according to what I have heard, originally comes from the etymology of rirīyān (lily-yarn). (リリーヤーン). I think, it was called Lilly Yarn (リリーヤーン) because it was knitted with the trademark “Lilly mark”. I’m not sure because it is a story before I was born, but it is true that “Lilian” リリアン」 and “Liliyan” 「リリヤン」are easier to say. An opinion that the original name was リリーヤーン, rirīyān Lilly yarn. And the names of “Lilian” リリアン」 and “Liliyan” 「リリヤン」appear to be equivalent or used interchangeably, words adopted because they are easier to say. 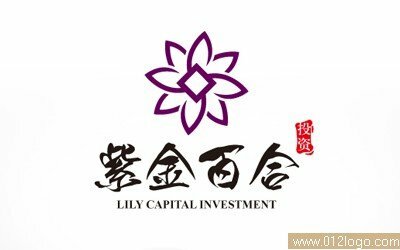 The original name coming from a Lilly flower trade mark thread: 「百合印 」, 「ユリの印」or 「リリーの印」. Not a Lilly flower mark thread, but a similar idea of a similar product sold today. Here is an example of リリヤン Liliyan, with “car mark” 車印 (kuruma shirushi) . Well, actually a special type of car. 御所車印 , Shrine car mark or Imperial Palace car mark. Other colors, on top row. Amazing once again, thanks David. I’ve heard that before and I’ve never lived in that part of the country before. I’ve heard, read about, but don’t recall other mystery names for them that are common going south west in to Ky, or Tenn, onward to Georgia. Probably the same all along the Appalachians or mostly where ever the mostly Scots / Irish settled in colonial times . with a sprinkling of English, Germans and Swiss. Locally people have described then as tasting like fish, but I’ve never heard anyone call them “dry land fish” or “hickory chickens”, that I’ve heard are used elsewhere. Rather boring names in comparison to other more enchanting names I’ve heard. Those are just descriptions. I tend to credit the Scots-Irish as creators of Molly Moochers. The Germans are creators of wonderful names for things, but the words still sound German. Three examples: “die eierlegende wollmilchsau” , “schadenfreude” , and " Verschlimmbesserung ". The third word I thought often described the actions of the managers of my former employer. The first the desires of too many of the customers. Never heard of them tasting like fish… That’s new to me. Maybe I’ve heard the name because I’ve got family in NC and the KY/IN border area. My next door neighbor, Nina, is in her early 80s. She fell and broke her hip about ten years ago while out hunting for Molly Moochers. I decided she was the authority to ask. I asked her if she thought they tasted like fish. She thought they do when fried. But maybe it’s more of a case of them having the texture of fish because she basically fries them the same way she fries fish fillets in flour and cornmeal. And I recall when I was first told of them I was told they tasted like fish. Though I never thought they do. Popularity probably generates many different regional nicknames. Molly Moocher being, I think, mostly a southern name used in Va. W.V. maybe in east Ky. too. Here is a 10 minute video of grandpa Kevin, in S. W. Pa, hunting them with his granddaughter, who wants them with ketchup. He calls them Haystacks. This government issued pdf on morels, includes the name, Miracles, and the etymology of the official name from an old German word for mushroom, and Latin word for brown.